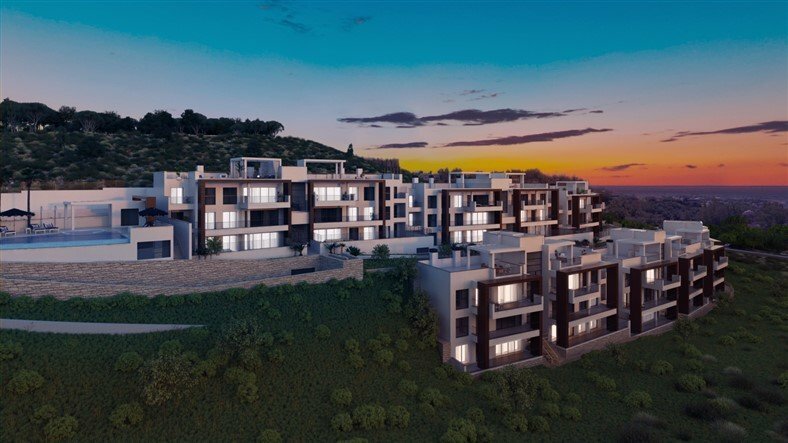 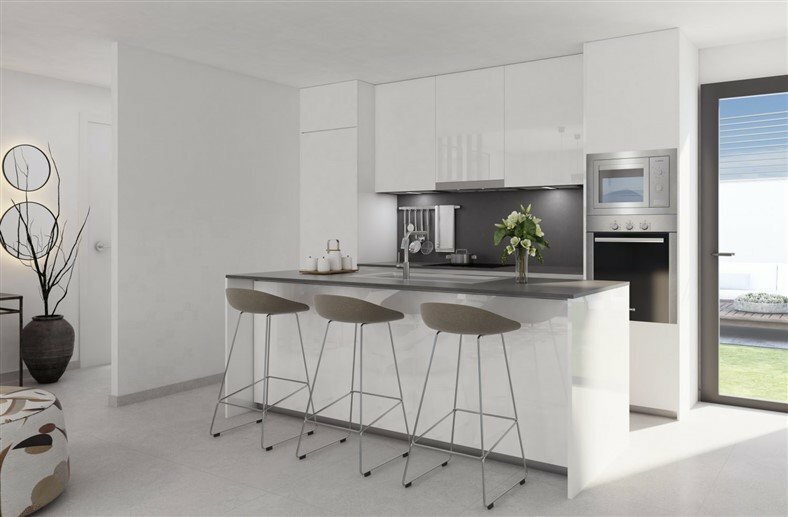 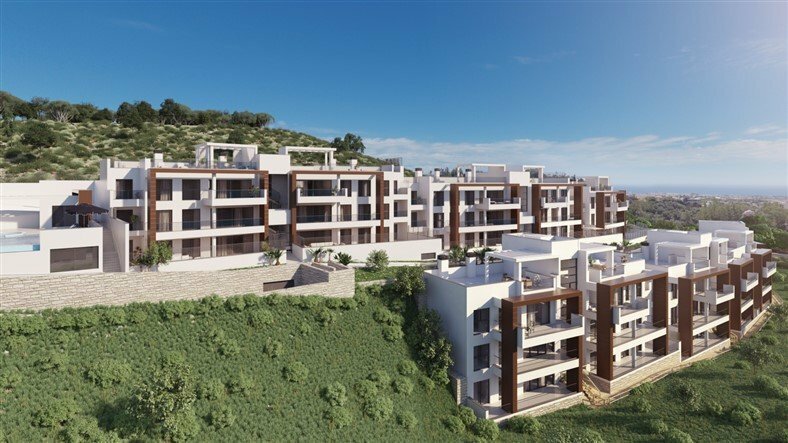 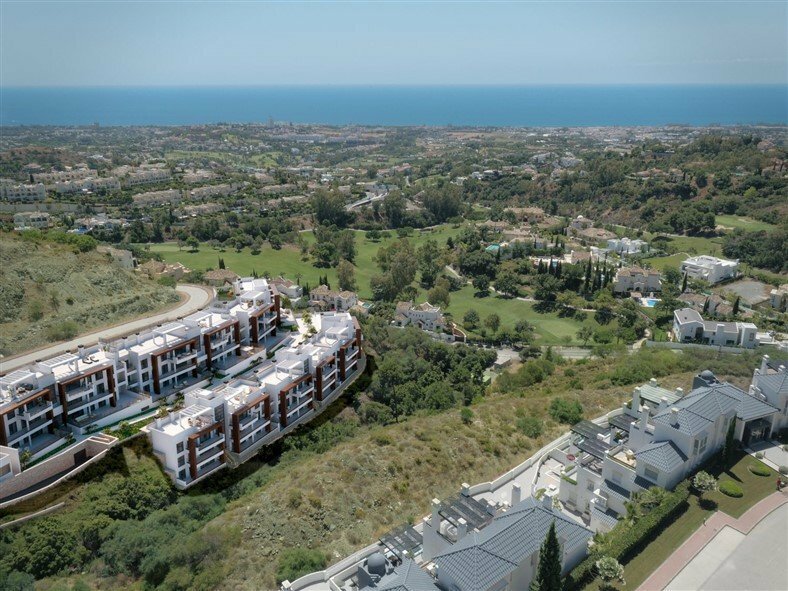 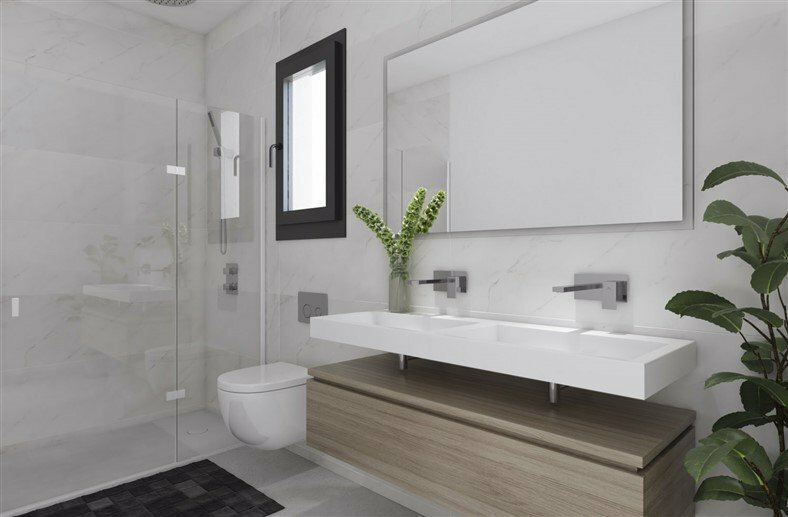 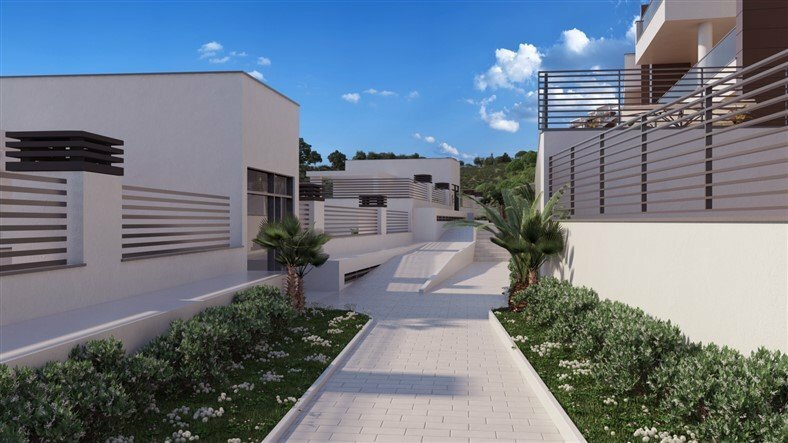 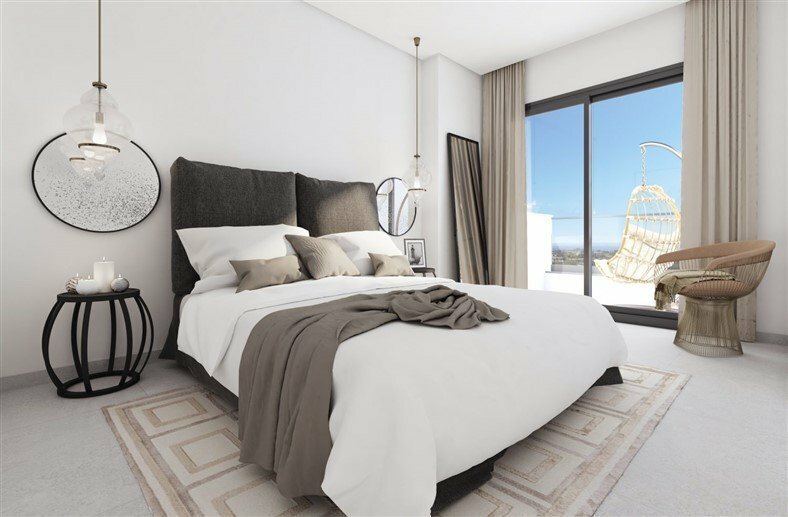 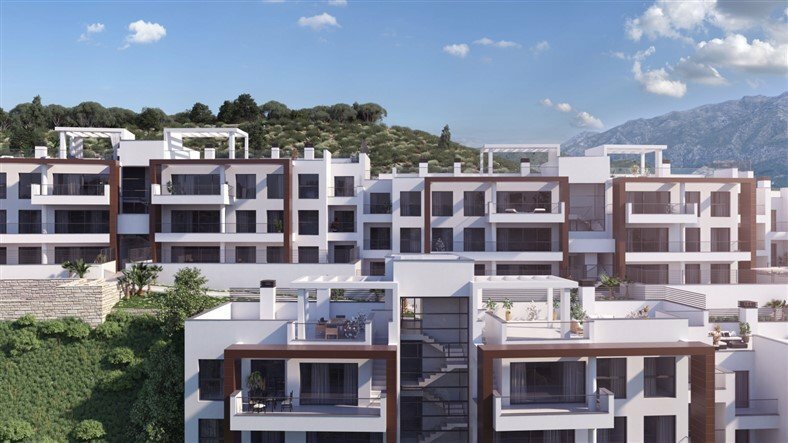 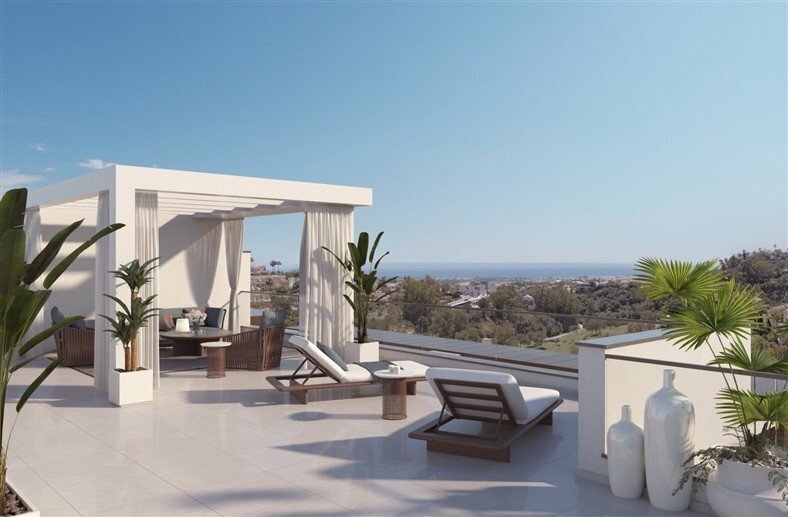 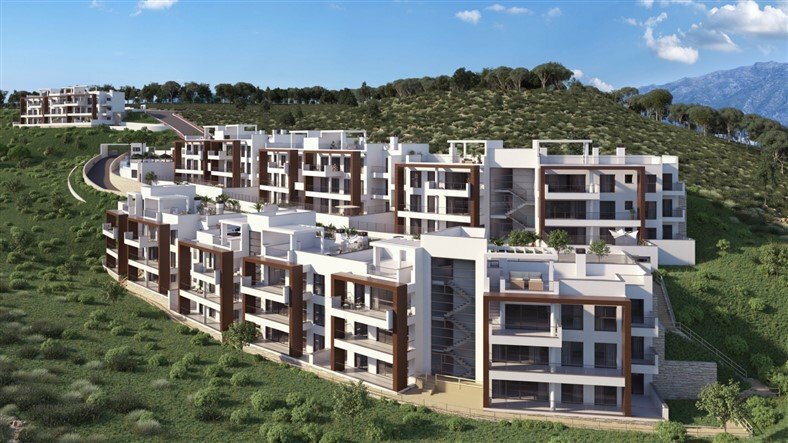 This spectacular residential project of 45 2, 3 and 4 bedroom apartments and penthouses in exclusive Benahavis offers south-southwest views from all units, bathing them in natural light. 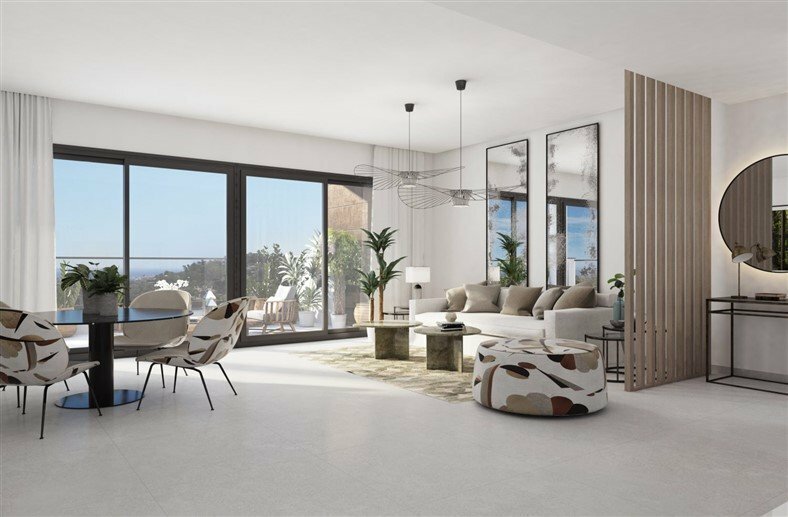 The penthouses boast large private sun terraces and – in some cases – private gardens, while ground-floor units have terraces of more than 100 m2. 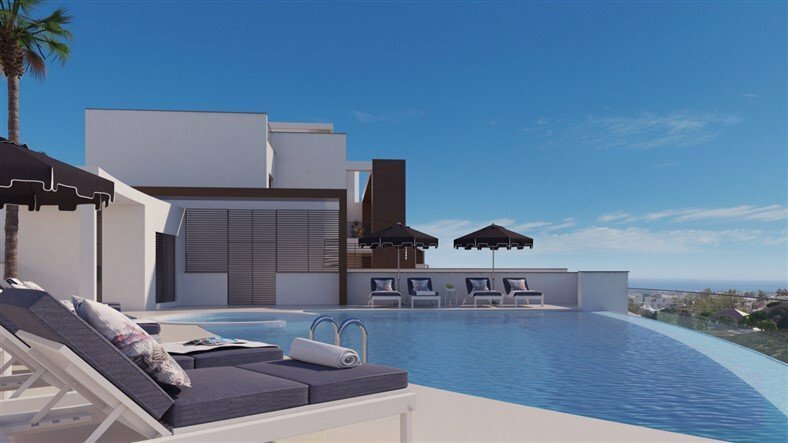 The development also has 67 parking spaces and 45 storage rooms, as well as a communal pool with sun deck, lush gardens and a gym.